A close relative to braising, making a phenomenal stew is effortless, economical, and versatile. This low and slow cooking method is the key to elegant and nutritious recipes from all over the world; let’s find out what makes a good stew, shall we? The ultimate one-pot meal made for thousands of years, a stew is, quite literally, what you put in it. There’s no better way to render tough, close to the shank cuts of meat tender and delicious than cooking them with a melée of vegetables, aromatics, and broth over the course of an afternoon. 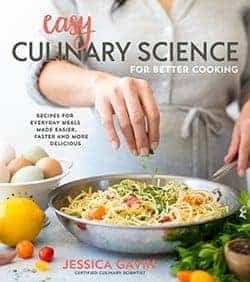 Beans, vegetables, and seafood can all benefit from this technique. A good stew makes the chef a hero, because every bite is better than the next. What Culinary Problem is this Method Solving? 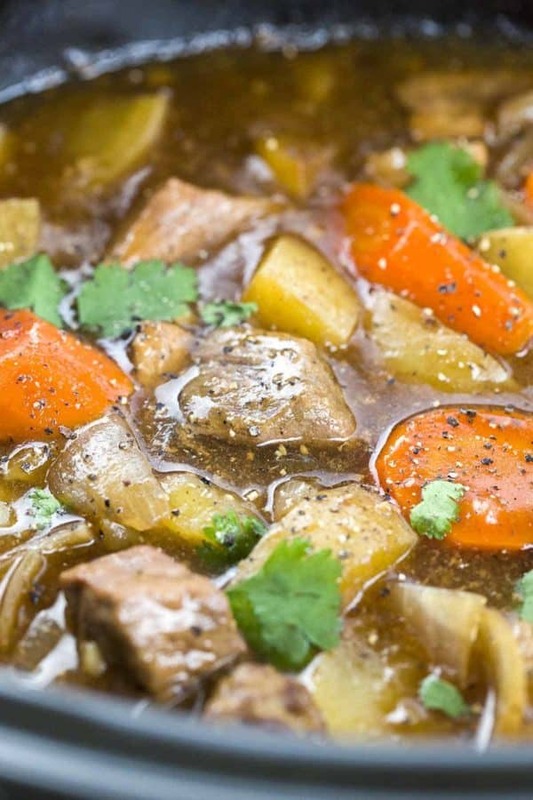 Stewing is a way to make tougher cuts of meats palatable and tender. It’s also a way to retain the maximum nutritional value of the food you cook. Stews also make dried beans edible and soft. Stewing is a combination cooking method that uses small, uniform pieces of meat that are totally immersed in liquid and slowly simmered. In this case, the food and the liquid are served together as one dish. Both are very similar cooking methods, but the primary difference between a braise and a stew is whether or not the protein is completely submerged in liquid. Braising usually uses whole, larger cuts of meat and the least amount of added liquid, while stews require food to be cut into uniform pieces and completely submerged in liquid. Sometimes these terms can be used interchangeably in the kitchen, but it’s helpful to know the technicalities. If you’re making a larger pot roast, short ribs, or even a big batch of root vegetables, a braise may be the way to go. But when what you’re cooking features a rich broth or gravy that’s just as important as the main ingredient, you should use stewing as a technique. Stove Top Method: Cooking a stew on the stove is absolutely fine, but it’s harder to regulate the temperature; depending on how hot your stove runs, and whether the lid is on or off, you may need to check the liquid levels frequently to make sure there’s no burning on the bottom or hot spots. You may be able to step away for a few minutes, but don’t wait too long because of the quick evaporation of the cooking liquid. Slow Cooker Method: Modern slow cookers and Crock-Pot’s are versatile and convenient. Who doesn’t love to come home to dinner already made at the end of a long day? Most slow cooker enthusiasts adore using this countertop appliance, and for good reason. Plug it in, set it, and forget it—it’s about as easy as it gets. Oven Method: Once you add all your ingredients and you’re ready to step away from things for a bit, consider letting your stew finish cooking in the oven. The internal heat of an oven is a wonderful way to get consistent heating with little fluctuation. Checking a large pot in the oven can be tricky, though, and can be heavy to lift out when you need to do so. The key to a good stew is good advanced preparation of your ingredients. 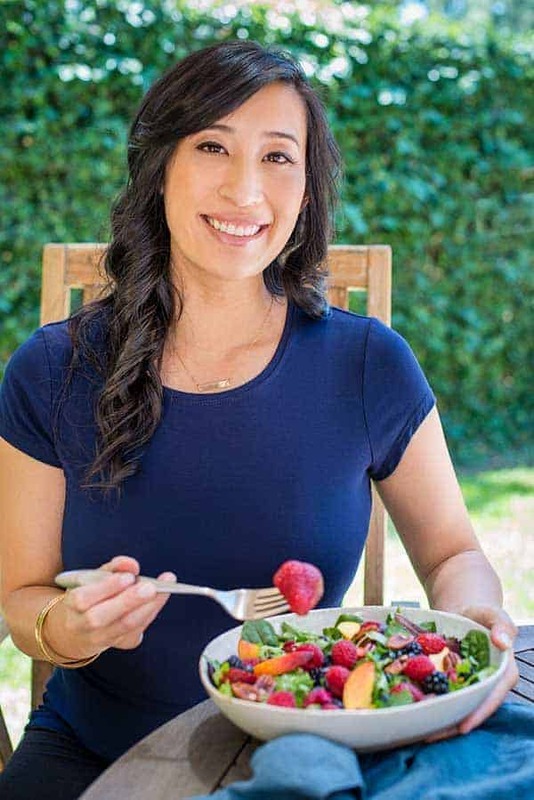 Cut your meats and vegetables into evenly-sized pieces, preferably bite-sized. To help get the meat brown, as well as add some extra body to the stew while cooking, dredge the chunks of meat in seasoned flour or cornstarch. Next, it’s time to brown the meat. Browning uses the Maillard reaction to caramelize the sugars in the protein to give your stew a richer, deeper flavor. Once your pot is heated, add an oil or fat (butter, lard, etc) and add your seasoned meat to the pot. The trick here is to get the meat deeply browned on the surface, turning the pieces on all sides to accomplish this. Once you’ve browned the meat, it’s likely you’ll have to remove it from the pot to add other ingredients that will make up the rest of the dish. This might be the time to add onions, leeks, garlic, fruits, vegetables, spices, or other aromatics into the fat that’s in the bottom of the pot. Adding any of these ensures the flavors of your stew will be complex and delicious when it’s ready to eat. Now it’s time to add the liquid. This can be broth, beer, wine, vinegar, tomato juice, or even water. The liquid helps deglaze the bottom of the pot, where all the browned bits that you worked so hard to get end up. Once deglazed, you can add the browned meat back into the pot, and top off the ingredients with more liquid until everything is submerged. Once you’ve reintroduced the meat into the vegetables and liquid, get the whole mixture back to just boiling, when large bubbles break through the surface of the liquid rapidly, then turn the heat down to a gentle simmer, at the lowest temperature on a stove. Why Bring to a Boil and Then Simmer? Making sure the food you’re cooking gets up to boiling before turning the heat back down is a great way to visually determine where you are on the spectrum of moist heat cooking. Boiling occurs when large bubbles break through the surface of the liquid rapidly. Don’t let the stew boil too long, though, or what you end up with may be too tough. What is the Stewing Temperature? If you’re making a stew on the stove, use the lowest setting you can once you reach the initial boil. If you’re using the oven, set the temperature somewhere between 250 and 325 degrees, depending on the recipe you’re using, and cover the pot. Once you get the hang of the stew, though, you’ll get more comfortable setting the temperature without a recipe. If your stewing liquid is too thin and you’d like to thicken it a little, simply continue to simmer the liquid on the stove top to further concentrate the flavors, or consider adding a thickening agent. Some cooks add a little slurry of cornstarch and water to the liquid, making sure to stir thoroughly in between small additions to the pot. Whisk the liquid while cooking to cook the flour and get rid of any raw taste the flour imparts. You could also make a roux using flour and butter and add it to the stew. In the case of beans or potatoes, you may consider puréeing some of the stew with an immersion blender to thicken things right up without adding anything at all. Celery, celery root, leeks, cabbage, fennel and almost any tough greens, such as collard greens, chard, kale or mustard greens can be stewed. Beans are perfect stewing candidates, as are summer vegetables like peppers, eggplant, and tomatoes in a Southern French ratatouille. Grains and beans require slow stewing from anywhere between 25 minutes and 2 hours, while vegetables usually cook quickly. Pierce vegetables like carrots, root vegetables with the tip of a sharp knife; if they pierce easily, your dish has finished cooking. The best way to determine if a bean is cooked is by fishing a couple beans out with a spoon and biting one. Precooked beans can also be added to a stew for shorter cooking time. Consider cod, halibut, snapper, grouper, shark and sea bass as appropriate candidates for fish-based stew. Bouillabaisse and Italian cioppino are both classic fish stews that can be made easily using this technique. Because of their delicate nature, they don’t have to be pre-browned. 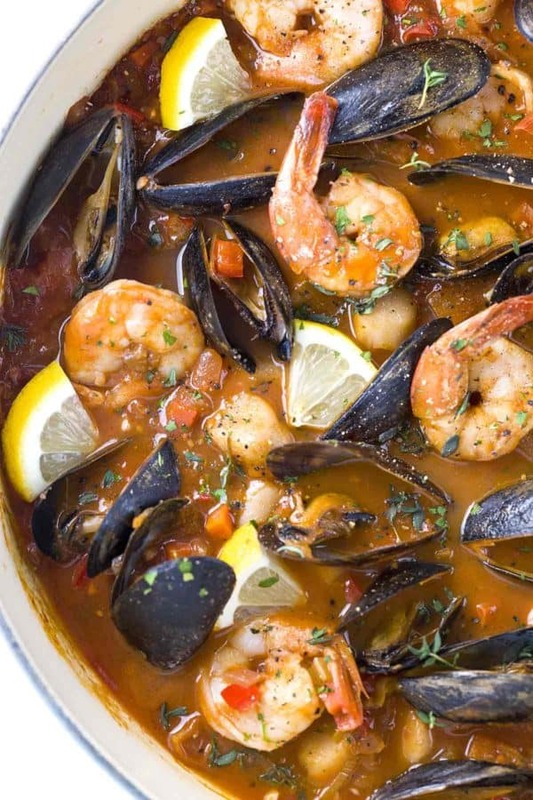 Stewing fish or other seafood like in my San Francisco cioppino usually requires very little time at all, as fish and shellfish tend to cook quickly, often within minutes. Tougher cuts of beef, lamb, and pork can be cubed and stewed with excellent results over a few hours at a low temperature. Prime stewing candidates include shank, brisket, chuck, oxtail and round. The most delicious example of this is beef Bourguignon. For really tender meat, cook the stew low and slow, for approximately two hours. Fricassees and curries are excellent examples of stewed chicken; if cooked on the bone, the chicken should usually be browned first to caramelize the skin and render the fat. Cook the chicken until its internal temperature reaches 195 degrees. There’s no need to cook chicken for hours, like a large cut of meat or pork. Time: If you have the time, stewing meats, grains, or beans low and slow in the oven or on the stove makes the end result, all worthwhile. Taste: Stewing allows all the flavors in the pot to slowly meld together and develop incredible taste over time. Texture: Fork-tender meats, beans, grains, and vegetables are guaranteed when they’re slowly stewed in liquid. Nutrition: Food that is stewed retains most all of the food’s nutrients, as the liquid the food is cooked in is part of the meal. Also, stewing foods requires little to no oil. You make food make sense, thank you. You made my day Cindy!